Is there anything The Cheese Board Collective (1512 Shattuck Ave.) can't do? The Berkeley cheese shop and bakery started making pizza for fun in the Eighties, which spawned the need for a second business, its lines-out-the-door-all-day-long pizzeria. Now The Cheese Board is making doughnuts, and the results are damn good. Supremely fluffy and big enough to justify the $2 price tag, these pillowy babies are rolled in sugar and a touch of cinnamon. 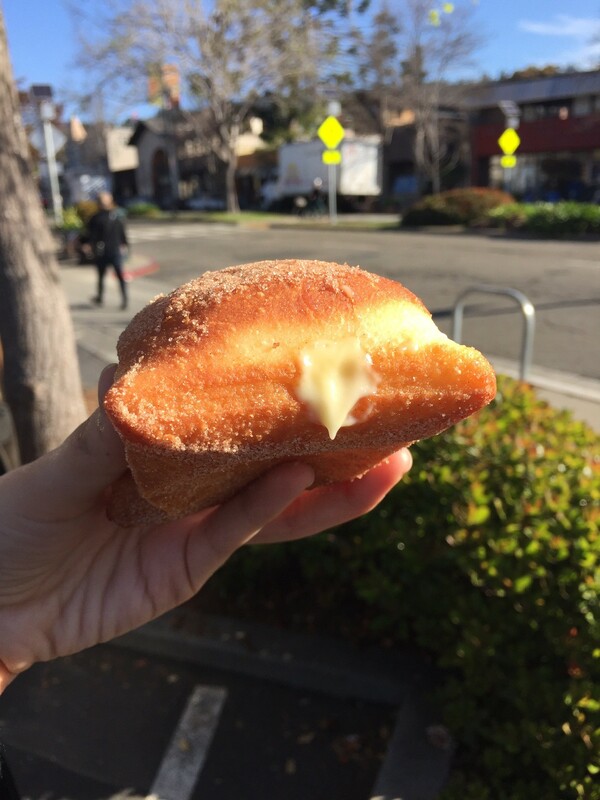 Add $1 to have your doughnut pumped with pastry cream, which we'd highly recommend. Simple and perfect. The doughnuts are a Wednesdays special in March, which means your last chance to grab one (or, who are we kidding, a dozen) is this Wednesday, March 25. But who knows, if they're popular enough maybe this doughnut venture will launch a new sector of the Cheese Board empire. We certainly hope so.